In years past, when the EU's future leadership was under discussion, the search was at least aimed at finding someone who could win worldwide recognition and respect. That's not the case today, even though the need for a commanding European figure is greater than ever. With the likes of Donald Trump strutting the global stage, a tough and no-nonsense figure who will speak out for Europe is crucially important. But one wouldn't think so when the Spitzenkandidat process is the focus of earnest debate. Europe's penchant for navel-gazing never ceases to amaze, and it is being brought into embarrassingly sharp relief by the media focus on the likely candidates to succeed Jean-Claude Juncker as European Commission president. Two, possibly three, largely unknown politicians have so far put their names forward: the EPP's German leader Manfred Weber, Slovakia's current EU Commissioner Maros Sefcovic to represent the Socialist Group, and maybe Austria's former socialist chancellor Christian Kern. None are names that ring bells in Washington and Beijing, or indeed anywhere else. Name-recognition around the world is important, but it's not the only criterion. There's the charisma needed to connect with Europe's disaffected, and also the new thinking and voter-appeal that a woman could bring. Denmark's EU commissioner Margrethe Vestager is challenging the Spitzenkandidat system and seems intent on throwing her hat in the ring. If so, she will doubtless liven things up. Will any of them succeed? 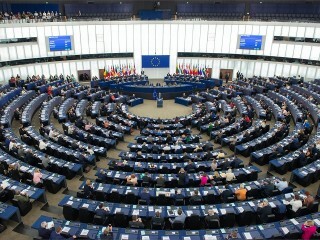 The centre-right EPP group and the socialists both risk being dislodged from their dominance of the European Parliament by next year's elections. The two blocs won't be wiped out, but Eurosceptic populists from across Europe are predicted to oust many candidates of the traditional mainstream parties. What matters more is the international stature and reputation of would-be Commission presidents, not their party affiliation. Donald Trump has described Juncker as a “tough, tough cookie”, and it's clear that chemistry between leaders plays an important part. Juncker has also built up good working and personal relationships with the leaders of Japan, China and India who seem to be spending more time together in different world fora.